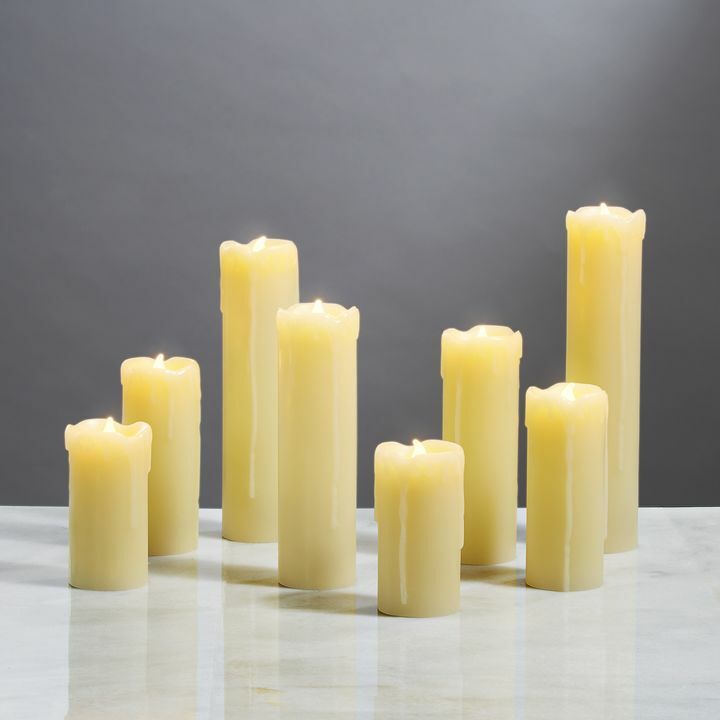 There are only 166 available of the Natural Melted-Edge Drip Slim Flameless Pillar Candles, Set of 6. Your selected quantity has been adjusted. 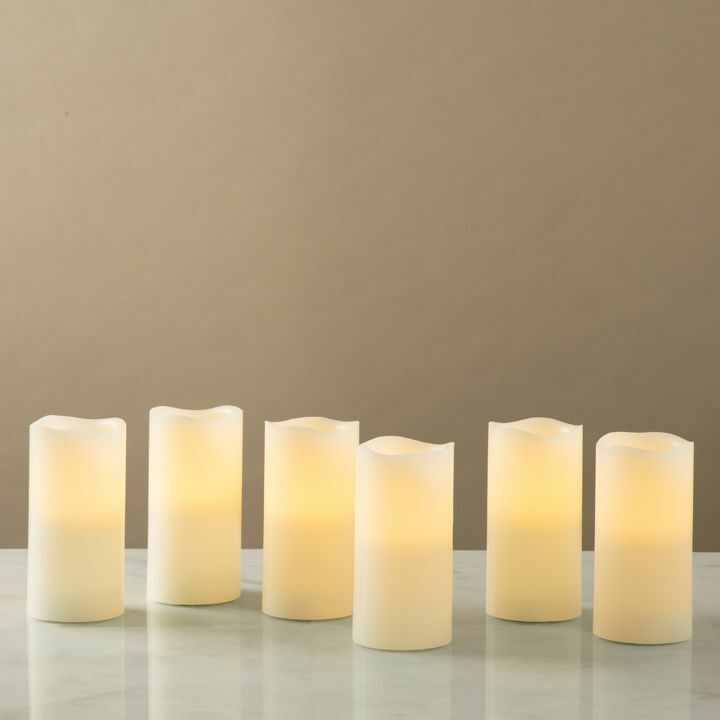 With their naturally-colored wax exterior, melted edges and life-like faux flicker, this assortment of candles mimics the warm ambiance of real candles without the worry of messy drippings or open flame. 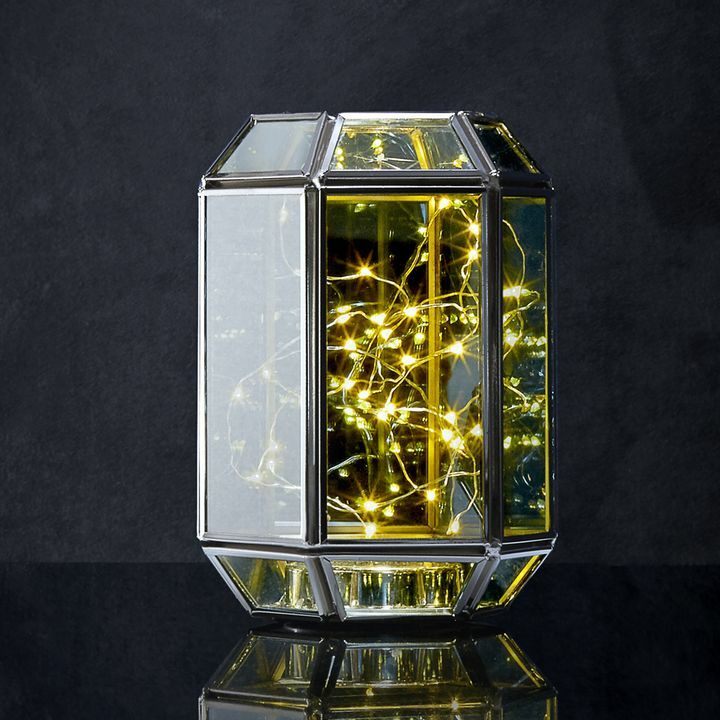 Arrange into a centerpiece on a dining table or nestle among books in a bookshelf for a romantic, festive glow. Perfect for home, weddings, churches, restaurants, and events. 2" x 2", 2" x 3", 2" x 4", 2" x 5", 2" x 7", 2" x 9"
I was so excited to get these but after a couple of months they started blinking, one at a time, until all were blinking. I tried new batteries but no change. If you want blinking candles, you can have mine for free. Like them a whole lot! Just wish they had a remote to turn them on thatÐ²Ðâ¢s all. They are beautiful! They look so real. My husband was a volunteer fireman in his younger years and has seen fires from real candles. So he is happy with these. I love them, my guests did too! Thank you for a great product. 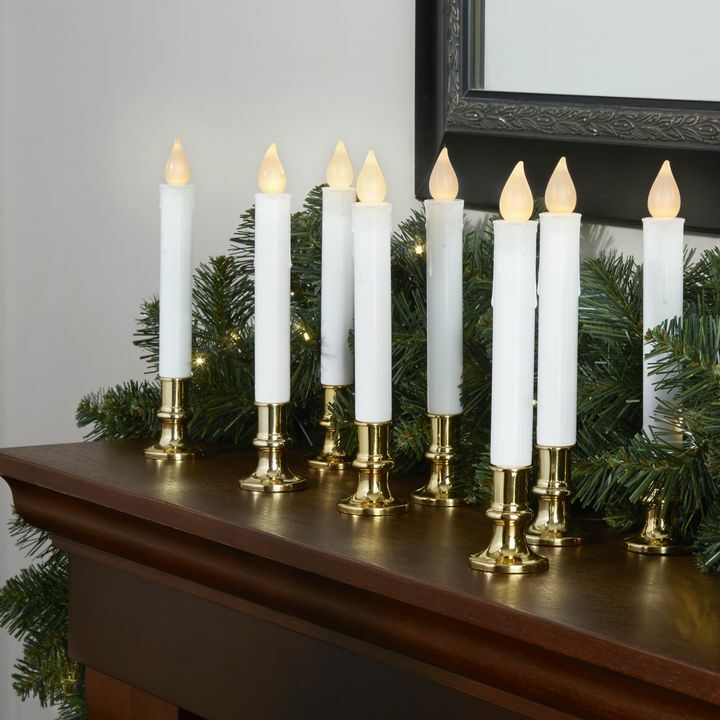 This multi-height set of six candles far surpasses my expectations. Truly unexpected soft and flickering light. Loved these!! Exactly what I was looking for and a GREAT price. I love these. The color and flicker definitely look like a regular candle. I only wish they had a remote so I wouldnÐ²Ðâ¢t have to turn each one off individually. Others we've seen have a more natural flickering look. I love them! They are just like they were described! Beautiful and very lifelike, I only wish they had a timer on them but overall perfect! these candles look like the real thing. 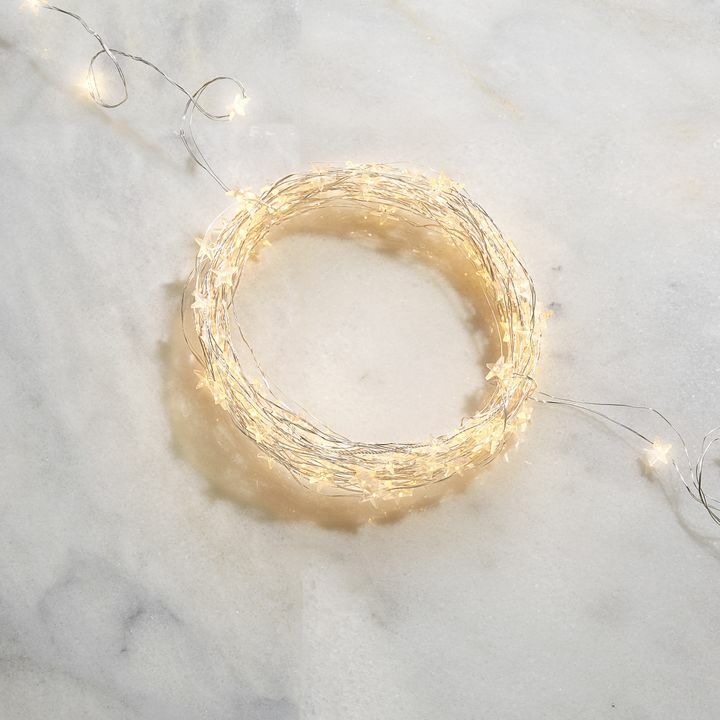 We are using them as wedding decor on a staircase so we had to go with flameless.I did a lot of shopping around and you can't beat this price or quality. I love the multi-sized candles! They look natural and authentic!! This is such a great purchase! I had two separate areas I wanted these for; with the different sizes everything worked out as planned! These were perfect. The quality was amazing and price point was perfect. What a beautiful variety. IÐ²Ðâ¢m so pleased with my purchase. Than you. I'm so obsessed with these candles. Of course they are fake by they look so real. I bought these for my wedding and I've been playing with them and showing them off to everyone. I can't wait to order more from you guys. Wonderful additions to our living room. These candles are perfect for someone who wants to add candlelight to a situation where real candles are not permitted. They look almost as good as the real thing! I loved them so much I bought more after the arrived! We used them for center pieces for a wedding and they were beautiful and worked out perfectly. 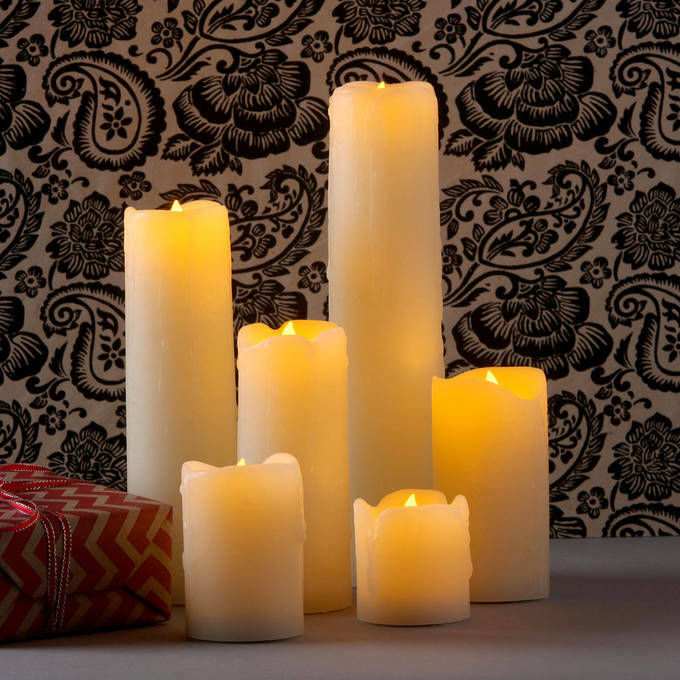 Great quality and very realistic flameless candles! I'm very happy with these candle lights. The movement/glow give great ambience and catch your eye. Very pleased with LED Candles. 4 stars because $9.95 a little steep for shipping. Just as described in info . Loooove them ! I like the slim size because they fit in my lanterns. I wish they had a timer. I leave them on all the time because it would be too inconvenient to turn them on every evening. I have a hard time finding batteries for these candles. Purchased these for a candlelight yoga fundraiser. Just lovely. They are fake and you can't even tell! :) used them all for my wedding. Such a great price for such an amazing set!! 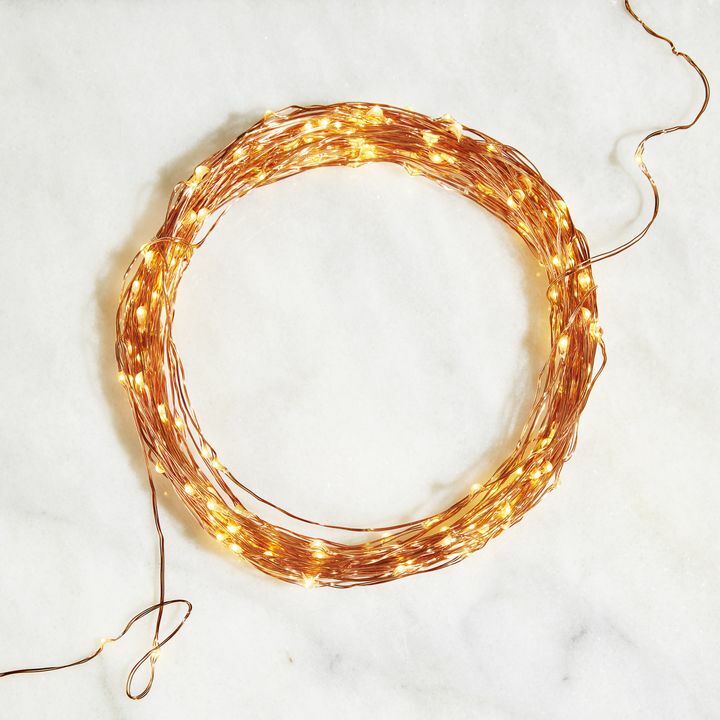 These have a great amber glow, realistic wax drip effect, and flicker just like real candles. I can't wait to use these for a halloween party I'm throwing this year. My favorite part?? They come with batteries already in them! And come with extra too!! Score! Candles look real...I love them! Quick shipping and good price, but a little disappointed in the quality. I believe I had wrong expectations, wanting the larger pillar candles with moving/flickering flame. Very good quality, exactly what I needed. I do recommend if you are looking for small candles. I bought two sets of these with the intention of decorating the inside of my fireplace. When the package came in I was a little hesitant because they were a little smaller than I pictured. I placed them into my fireplace hearth as decor and lit them up. They looked absolutely perfect. Not a bright light, but a perfect warm glow. I also love that they look like real candles, with the wax like drips. I was also pleased that they came with an extra set of batteries. I am very happy with my purchase! really like these candles!!! when the set came the 7 inch was all broke up but lights promptly sent me another 7 inch! i put them in sconces that needed these slim candles! so far so good!!! wedding church decorating. I am placing them on the floor of the church alter. The real wax coating and the flickering led lighting is just perfect for a candlelight wedding. Thank you for such efficient and fast service in receiving the product I ordered. The candles looked very real with the wax drippings down the side and they were very good quality. One candle glowed inside, but the bulb did not light. Maybe some adjustment can be made if we work with it. This is a great product for the price. I would definitely order from your company again. Excellent product and service except for the one light bulb. Is it possible to purchase the little plastic round disk that secures the battery? The battery doors aren't generally sold seperatly, but we can probably find one for you. You can reach out to our customer service at 866.490.9358, and we'd be glad to help. Are these candles Ok to use outside? 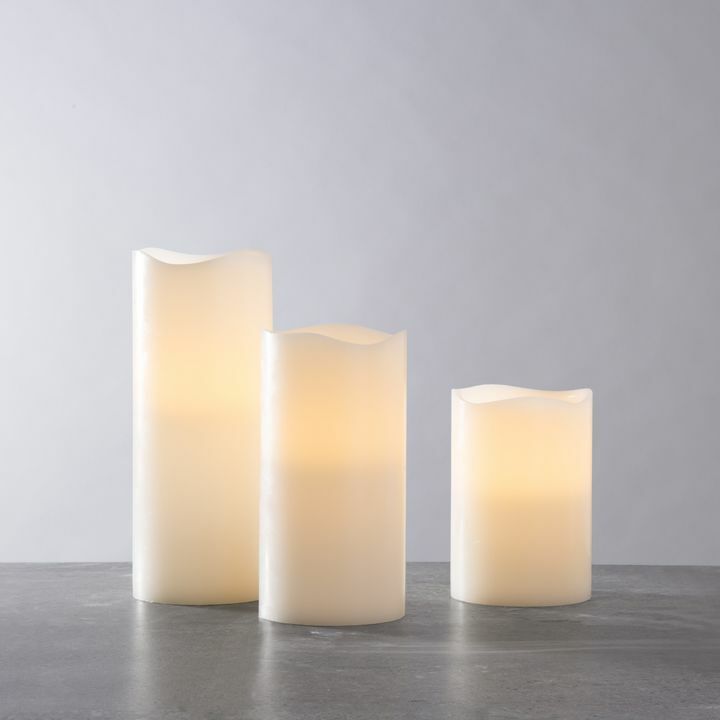 The Natural Melted-Edge Drip Slim Flameless Pillar Candles should not be used outside. These candles are not waterproof or weather resistant. As with any candles made of real wax, they can melt in the sun or heat. 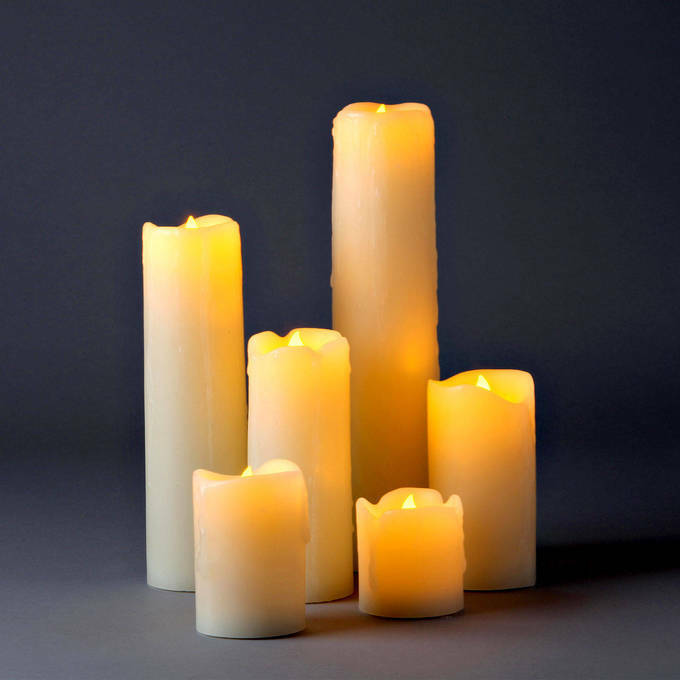 The Natural Melted-Edge Drip Slim Flameless Pillar Candles should not be used outside or direct sun in windows. As with any candles made of real wax, they can melt in the sun or heat. Need heights of all candles?? 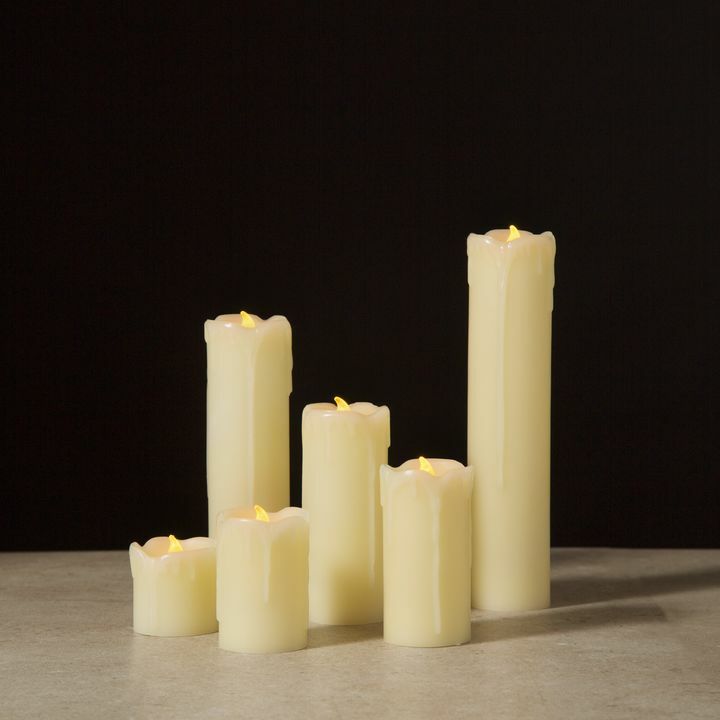 The Natural Melted-Edge Drip Slim Flameless Pillar Candles come in the following heights: 2\", 3\", 4\", 5\", 7\", and 9\". Please specify the height of all sizes in the assortment and the number of each size. If I want two of each size it appears I must by two sets. Do these candles flicker? One review says it flickers. What are the actual brand of these candles? These candles are manufactured by us, Lights.com, under our manufacturing name LampLust. The candles do have a\"flicker\" which mimics the light emitted from a real candle. The candles do have a \"flicker\" which mimics the light emitted from a real candle. What are the power specs of the LED itself. Wattage, Amperage, Voltage? The candles are powered by CR2032MAX batteries which are 3 volts each. Do these work on a timer? The Slim Flameless Drip Wax Candles do not come with a timer function. The description says one of the candles are 9 inches and one is 7 inches; but in the question and answers someone stated that the measurements are 6.5 inches and 8.5 inches. Which is correct? The correct answer is 9 inches and 7 inches at the tallest points of the candles. They have a melted edge at the top- so measuring can be tricky. exactly how are do you operate them are they touch etc...? They have an on/off switch underneath each candle. What are the diameters of these candles? You give the heights only. These candles are 2 inches in diameter. These candles do not come with a remote. They come with an on/off switch on the bottom of the candle. After 60 hours, can batteries be replaced? Yes, all batteries are replaceable. What color are these candles and do they have a timer? These are a cream/ivory color and do not come with a timer. HOw long are these expected to burn? 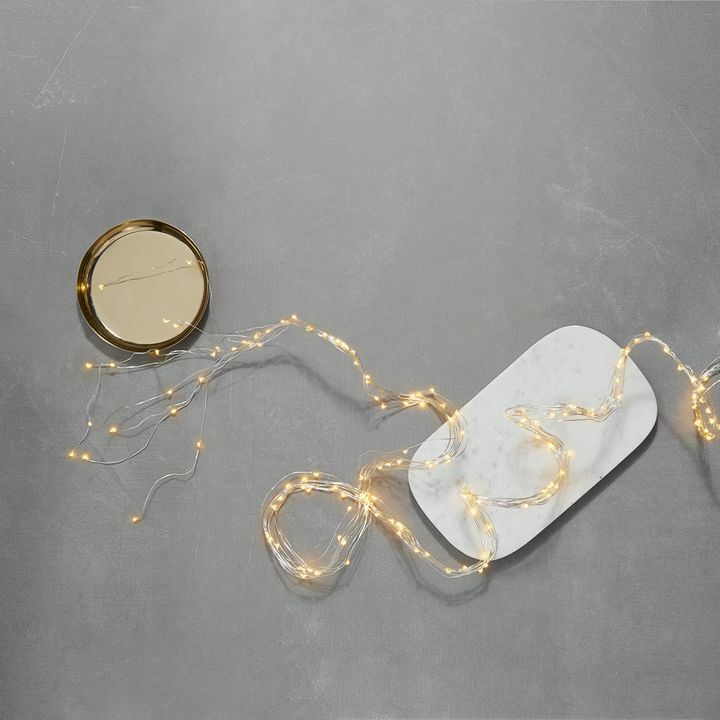 These candles uses CR2032MAX batteries which last at least 60 hours. 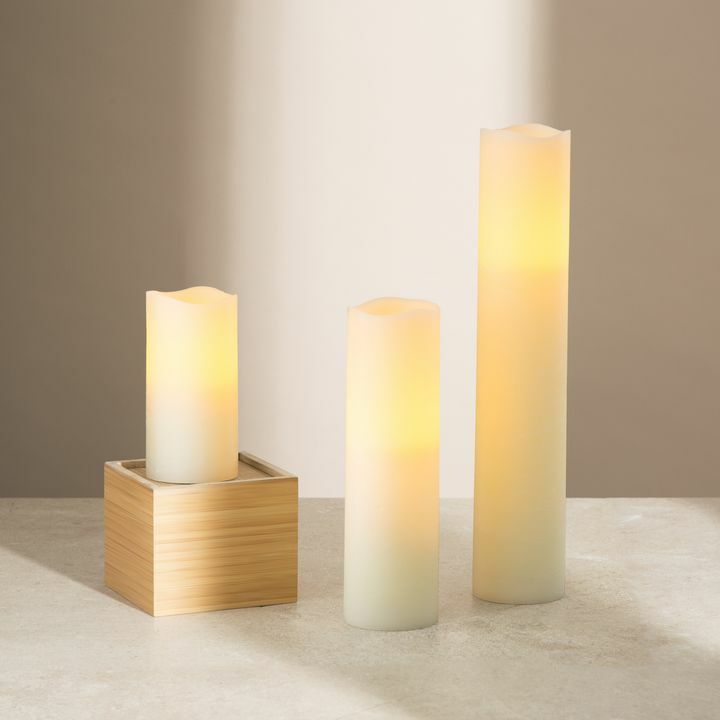 What are the dimensions (diameter and heights) of these candles? 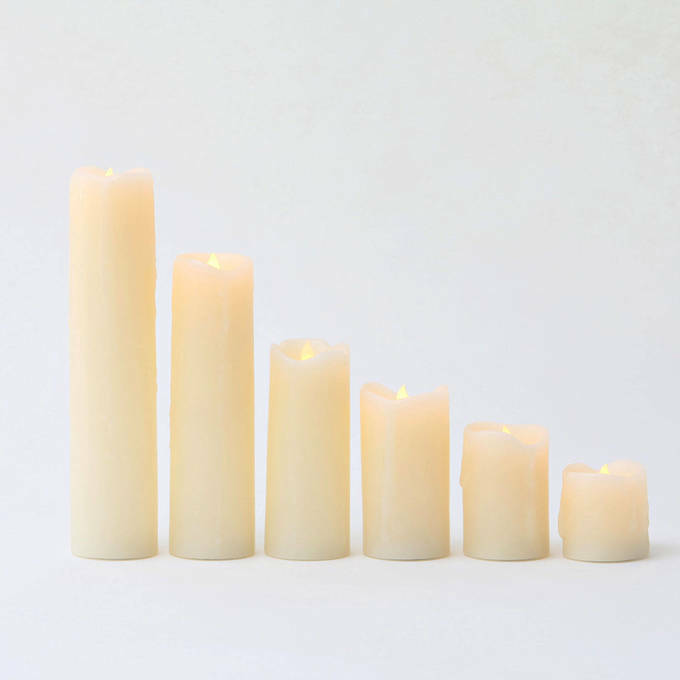 These candles contains the heights of: 2,3,4,5,7, and 9 inches. Each candle has a 2\" diameter.